New Orleanians’ fascination with bourbon milk punch is legendary. The drink has evolved and has taken many forms, including hot, cold, and even frozen. 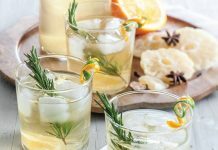 What many aficionados may not know, is that their beloved beverage has a long lineage back to Medieval England, where spiced punches of clarified milk punch were all the rage. Of course, the English version is quite different from the creamy concoctions that are popular in the Crescent City. Using a recipe that has remained largely unchanged for centuries, world-renowned bartender Paul Gustings serves up chilled glasses of crystal clear English Milk Punch in the stately Empire Bar in Broussard’s. 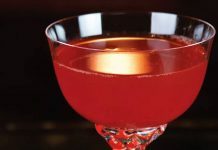 After coming across Jerry Thomas’ seminal Bartender’s Guide, Paul became enamored with punches not only as novel concoctions, but as ways to use and reuse ingredients that would have otherwise been wasted. 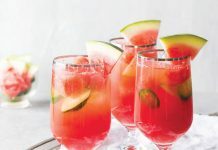 Unlike many modern chefs and bartenders, Paul insists on presenting the recipe as it was written in the Bartender’s Guide, other than increasing the steeping time, which helps mellow out the flavors. “Do I ever change it up? Nope, I leave it alone. It’s been around that long, why mess with it? 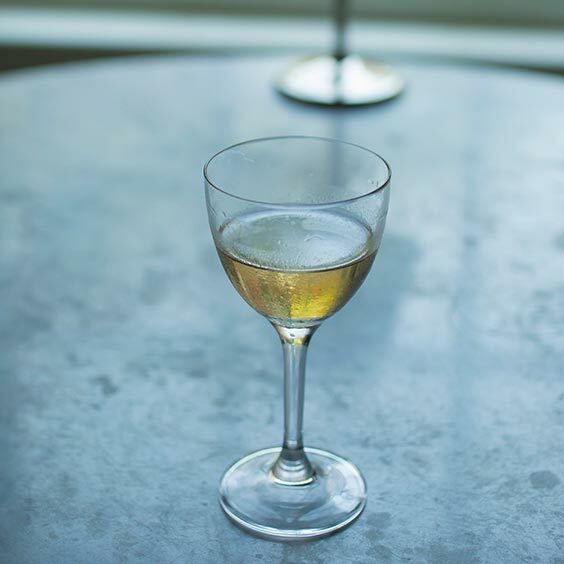 If I wanted to do something completely different, I’d do something completely different and not call it English Milk Punch,” says Paul. The whole process of preparing the drink can take up to 2 weeks (or as little as 6 hours), but the result is worth the wait. Paul’s English Milk Punch combines the sweetness of pineapple, some of the season’s best spices (cinnamon and cloves), and a smooth milky flavor that doesn’t carry the weight of an eggnog or bourbon milk punch. Straining the mixture at the end, when the milk has boiled and separated into curds and whey, is the most important step. Paul recommends patience during the three to four straining steps. In a medium pan, bring milk to a boil. Remove from heat, and add lemon juice; stir until curds and whey have separated. Carefully add to pineapple mixture. Strain mixture through a large-mesh sieve, discarding solids. Strain mixture through a fine-mesh sieve, discarding solids. Strain mixture through a fine-mesh sieve lined with a coffee filter or double layer of cheesecloth. Replace lining as needed. Cover and refrigerate until remaining sediment settles. Ladle or slowly pour mixture into a new clean jar, leaving sediment behind. Discard sediment. Cover and refrigerate until cold. Serve in a Nick and Nora glass.